Christine Frye is Senior Vice President and Chief Privacy Officer for Bank of America. She is responsible for leading the Enterprise Privacy Program at Bank of America with global responsibility for overseeing compliance with data privacy laws and regulations, establishing privacy standards and policies and implementing the company's compliance framework for Privacy. 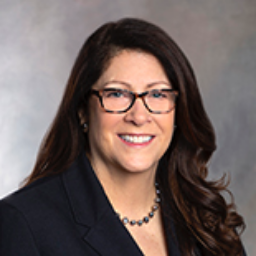 With more than 12 years experience developing and overseeing privacy programs, prior to joining Bank of America, she held the position of chief privacy officer for Countrywide Financial Corporation, Experian's eMarketing Services group, and 24/7 Media. Privacy Governance and Controls: How Do You Know You Are Doing It Right?